At A&E Audiology & Hearing Aid Center, our commitment to patient care was built around comprehensive science, patient empathy, and human trust. We do far more than offer Lancaster, Lititz, and Willow Street, PA, hearing aid treatments. When you visit one of our Pennsylvania hearing centers, we will help you with a comprehensive hearing loss rehabilitation program. The first step on your path to improved hearing is to schedule your completely free initial hearing consultation. During your first appointment, our Doctors of Audiology, Audiologists, and Hearing Specialists will fully assess your hearing potential with the latest in diagnostic audiology equipment and a full patient needs analysis while keeping your specific lifestyle and situation in mind. Our team of audiologists and hearing care professionals are unified in providing a comprehensive treatment plan for your hearing needs. At A&E Audiology & Hearing Aid Center, hearing care is about more than selling hearing aids. We focus on your overall well-being and ability to age actively through improved hearing health. Our treatment plans consist of hearing aids, education programs, and aural rehabilitation classes to help you understand what you hear more clearly. Request Your FREE Hearing Consultation Today for State-of-the-Art Lancaster, Willow Street and Lititz, PA, Hearing Aids! Just like any great partner, we look forward to helping you and your family for generations. 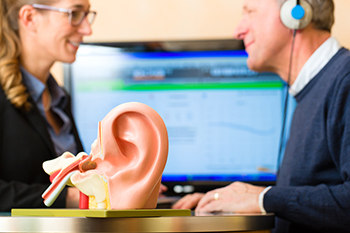 From hearing protection and preservation, to hearing aids and follow-up hearing care, to education and outreach programs, we are your full-service audiology practice in Central Pennsylvania. Come experience A&E Audiology & Hearing Aid Center! You will see for yourself that our hearing specialists provide state-of-the-art hearing aids in Lancaster, Lititz, Willow Street, Rohrerstown, West Township, Millersville, Mountville, Central Manor, Landisville, Silver Springs, Lancaster City, Mt Joy, Marietta, Neffsville, East Petersburg, Manheim, Rothsville, Akron, Ephrata, Brownstown, Leola, New Danville, New Providence, Strasburg, Buck, Quarryville, Conestoga, Rawlinsville, Georgetown and Christiana, PA.